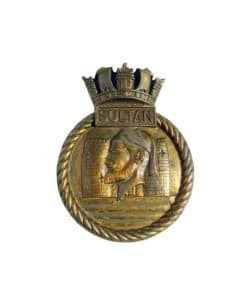 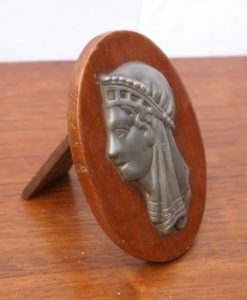 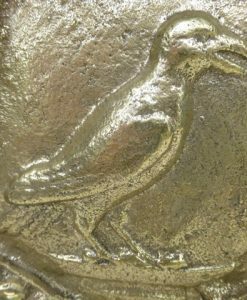 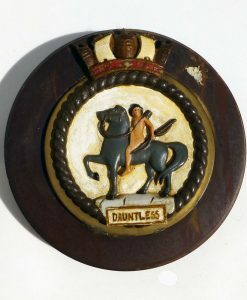 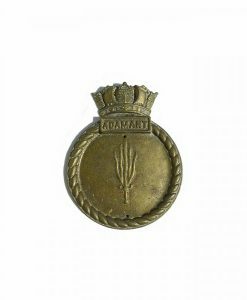 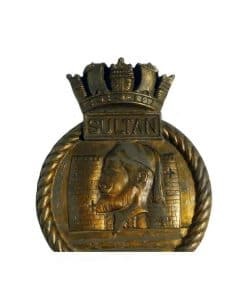 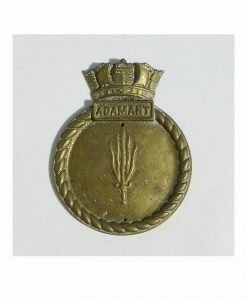 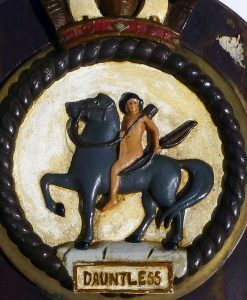 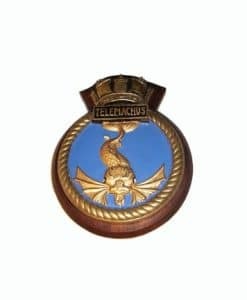 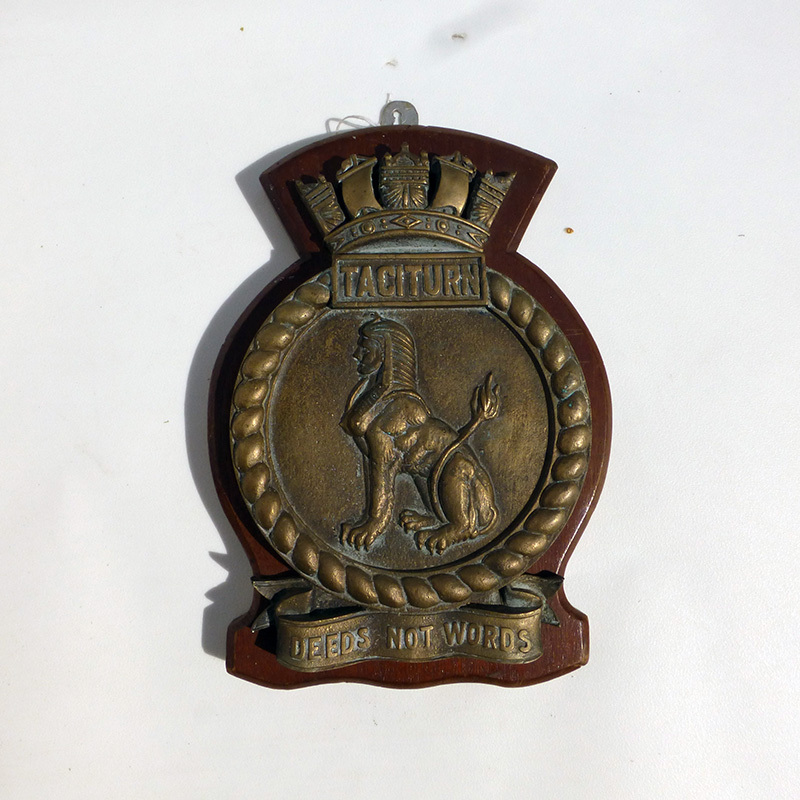 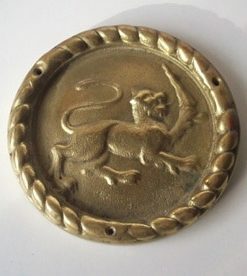 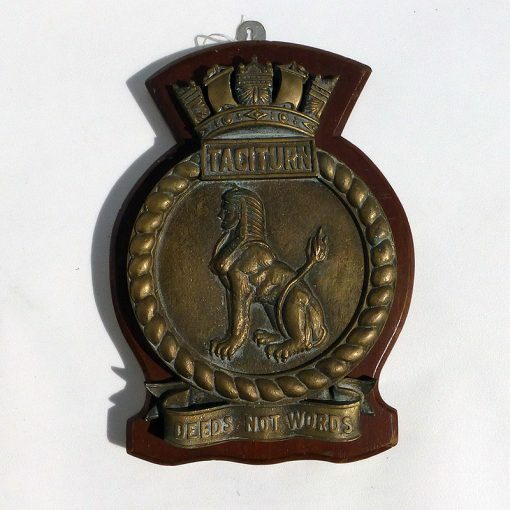 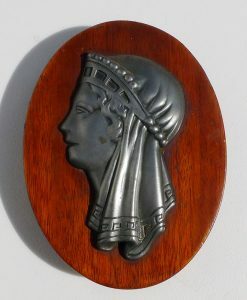 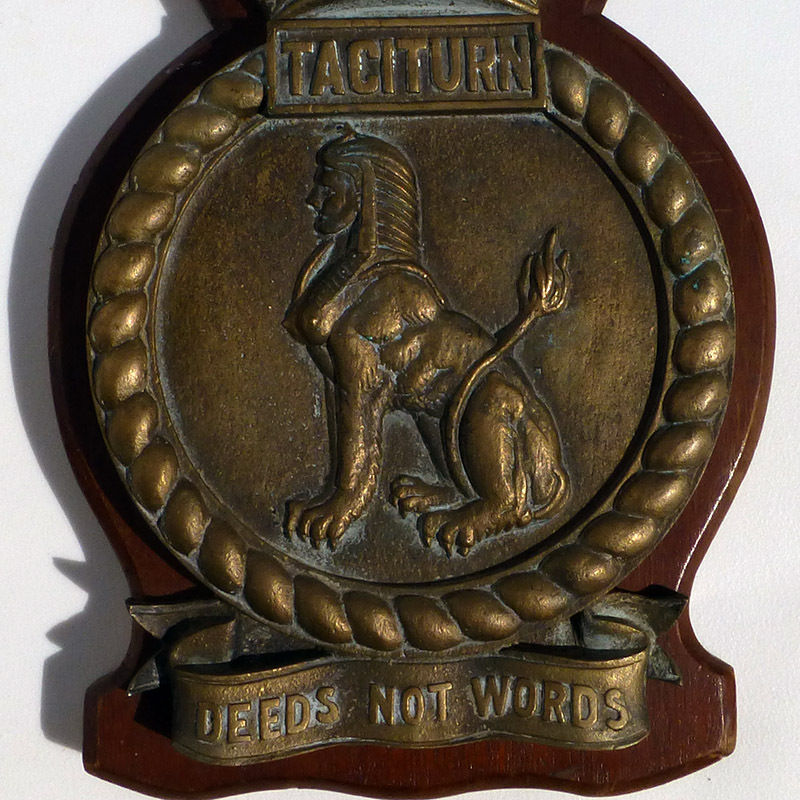 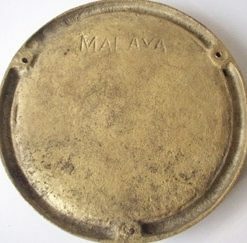 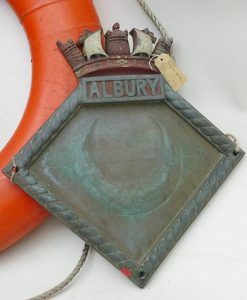 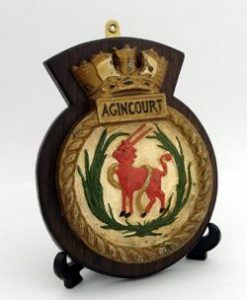 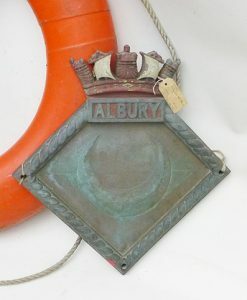 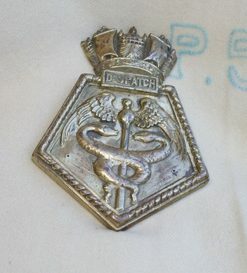 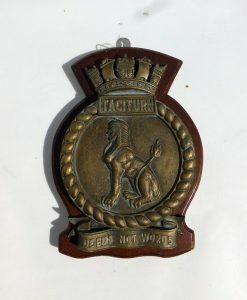 Original, large wardroom badge cast from bronze. 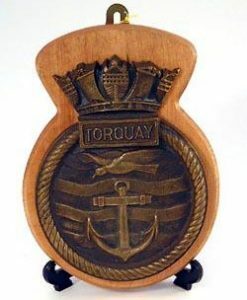 HmsTaciturn was a T Class submarine launched in 1944 by Vickers, Pennant P342. 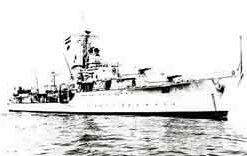 In 1951-56, eight of the welded-hull boats were completely rebuilt in a manner similar to the American ‘Guppy’ programme. 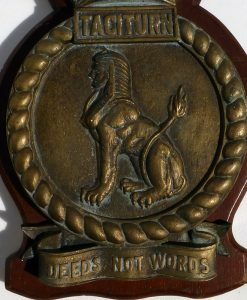 The eight converted were: Tabard, Truncheon, Thermopylae, Totem, Turpin and the Vickers-built Trump, Tiptoe and Taciturn. 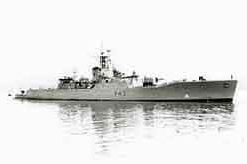 Their hulls were cut in two and new sections added to their length, they were streamlined and their underwater propulsion capacity was increased enormously to give twice the previous submerged speed, and increased endurance. 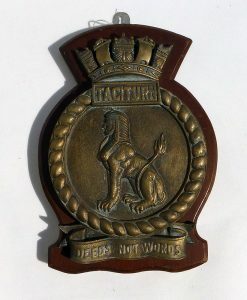 Original, large wardroom badge cast from bronze. HMS Taciturn was a T Class submarine launched in 1944 by Vickers, Pennant P342.